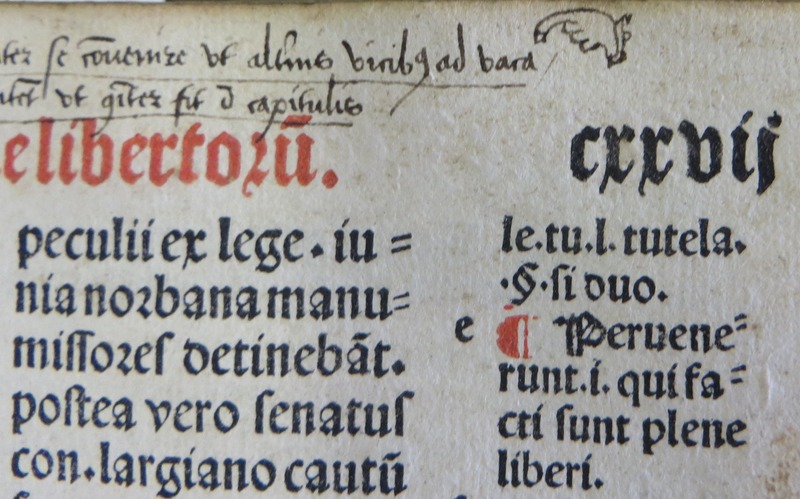 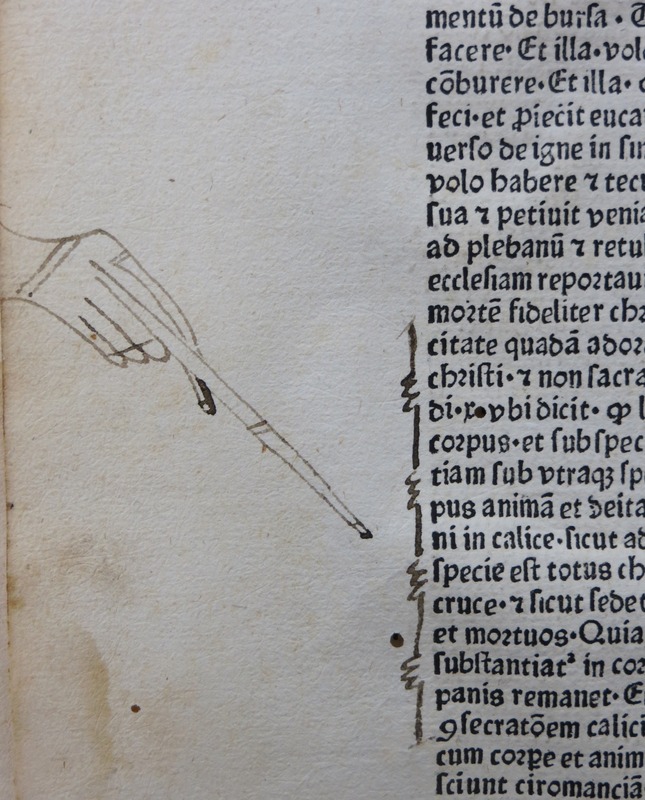 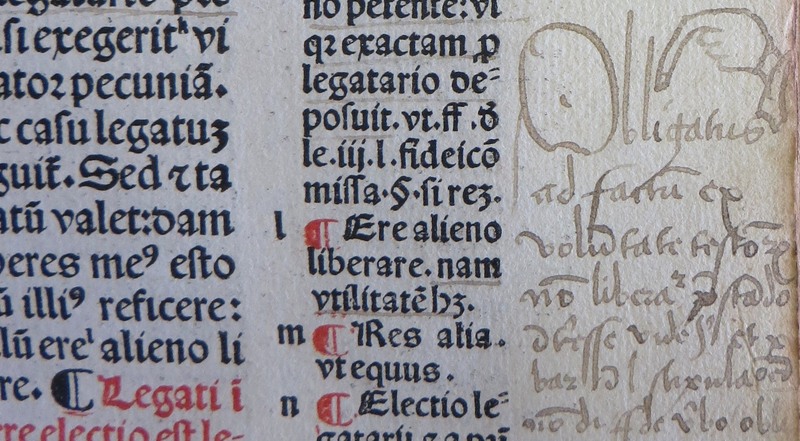 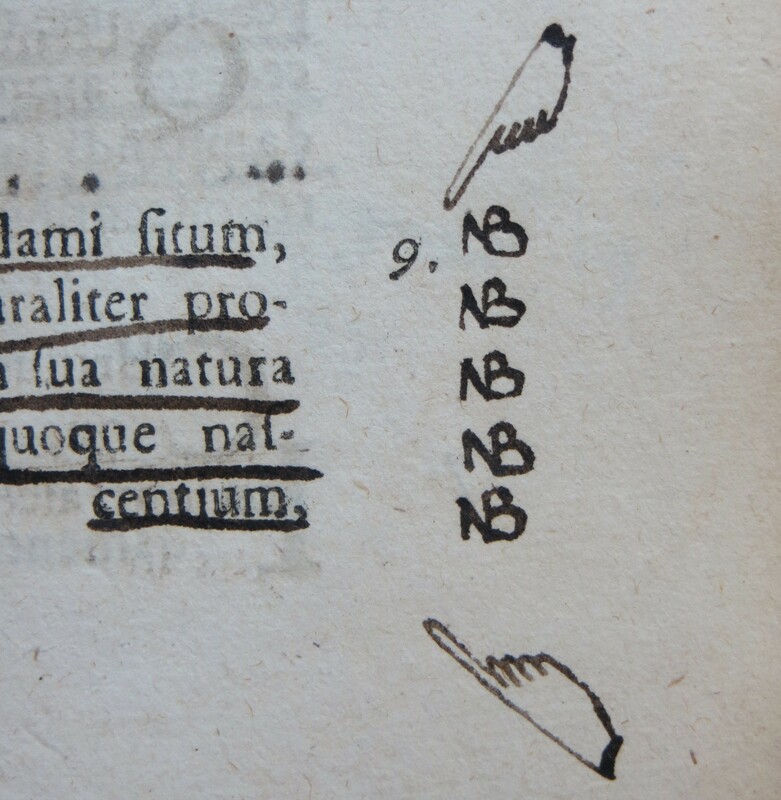 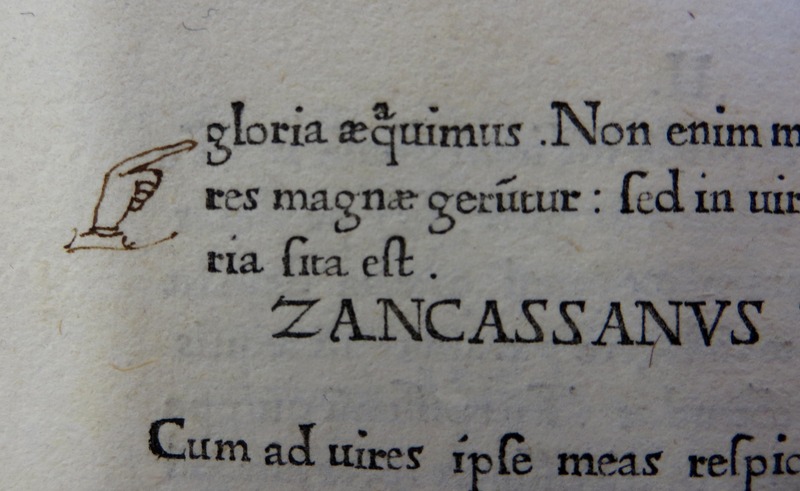 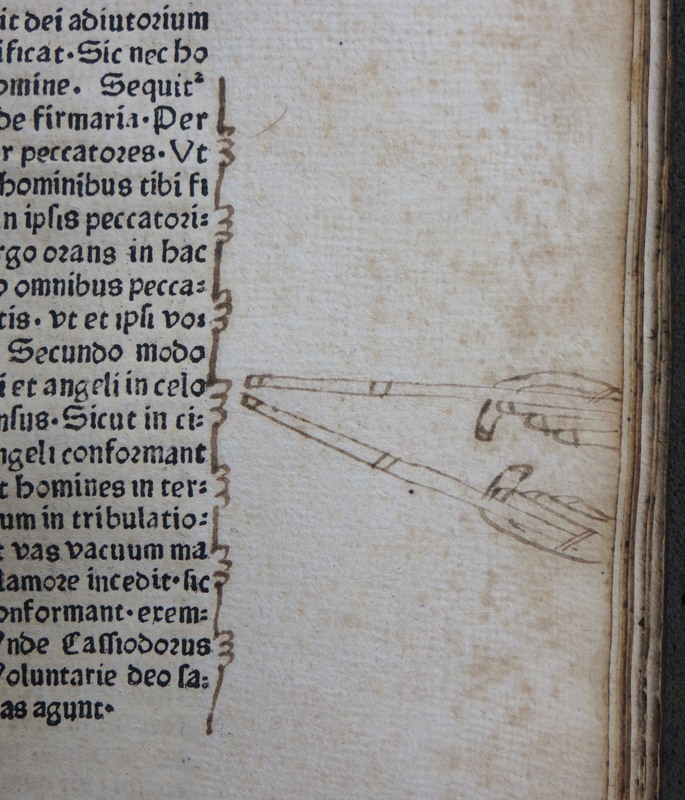 A manicule, from the Latin maniculum or ‘little hand’, is a punctuation mark created by or for readers to assist in marking noteworthy passages or finding a section of text. 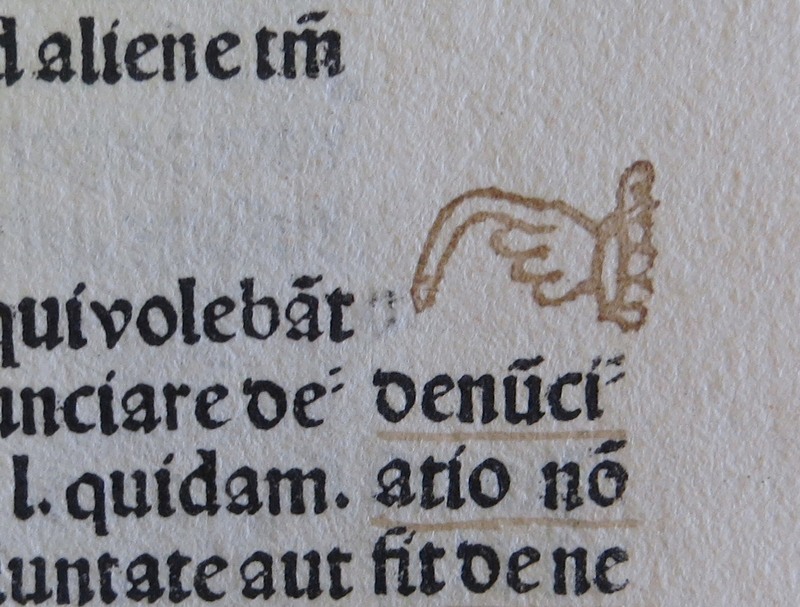 Medieval and Renaissance scholars commonly used the symbol, consisting of a hand with an extended index finger, to direct attention to important text alongside other punctuation marks such as the trefoil (a three-leaved plant) and the asterisk. 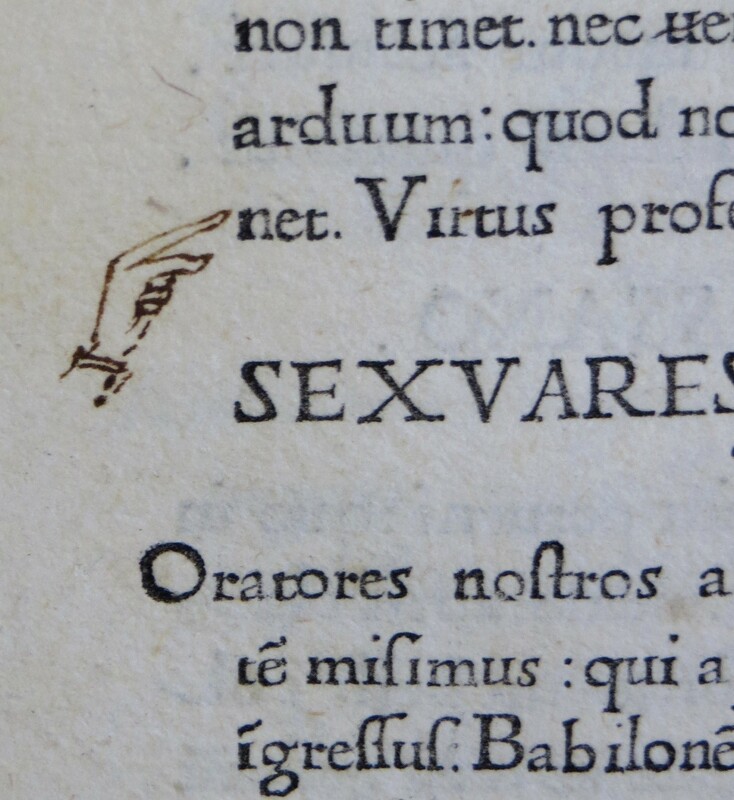 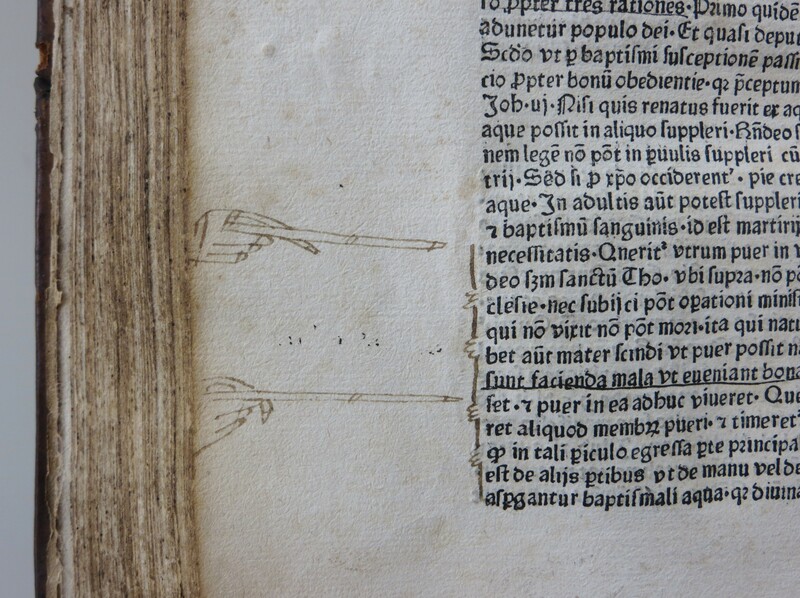 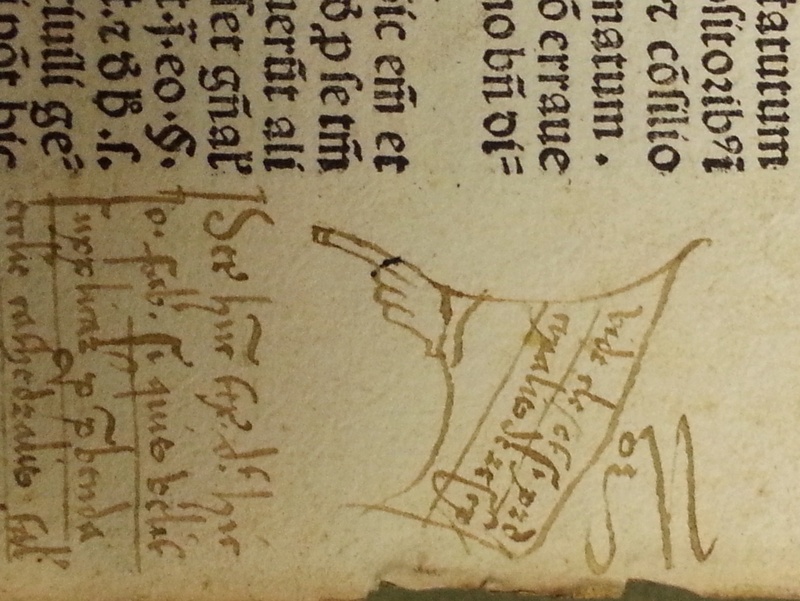 The manicule, also known by numerous other names such as pointing hand, index and bishop’s fist, was in common usage between the 12th and 18th centuries, until its complex design appears to have made it too slow for handwriting and readers stopped taking the time to draw their little pointing hands. 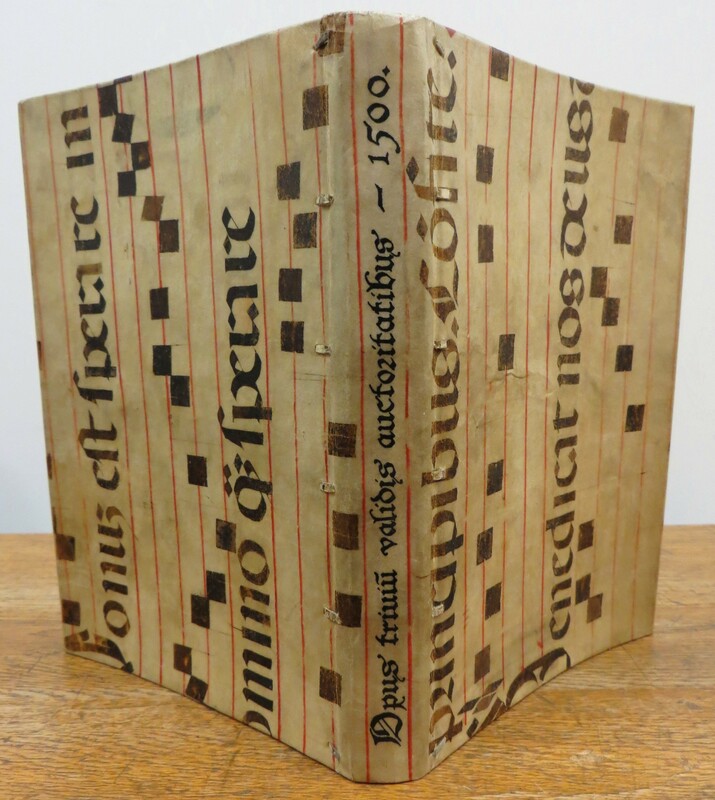 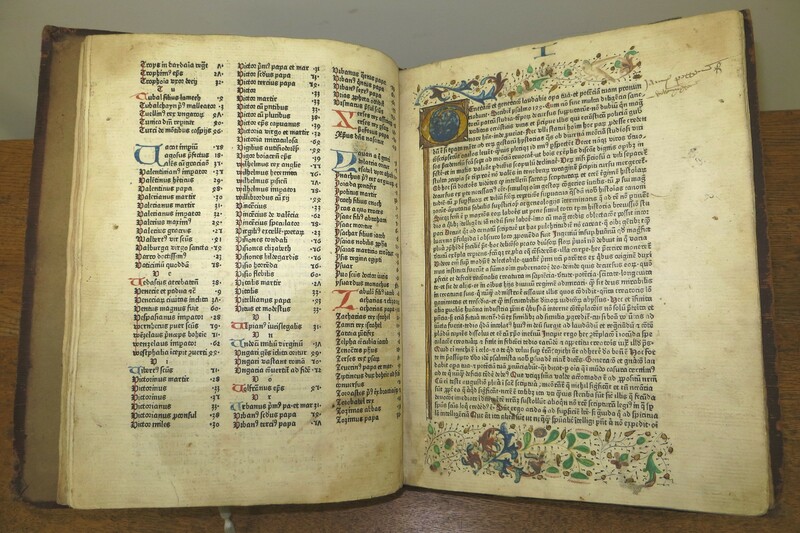 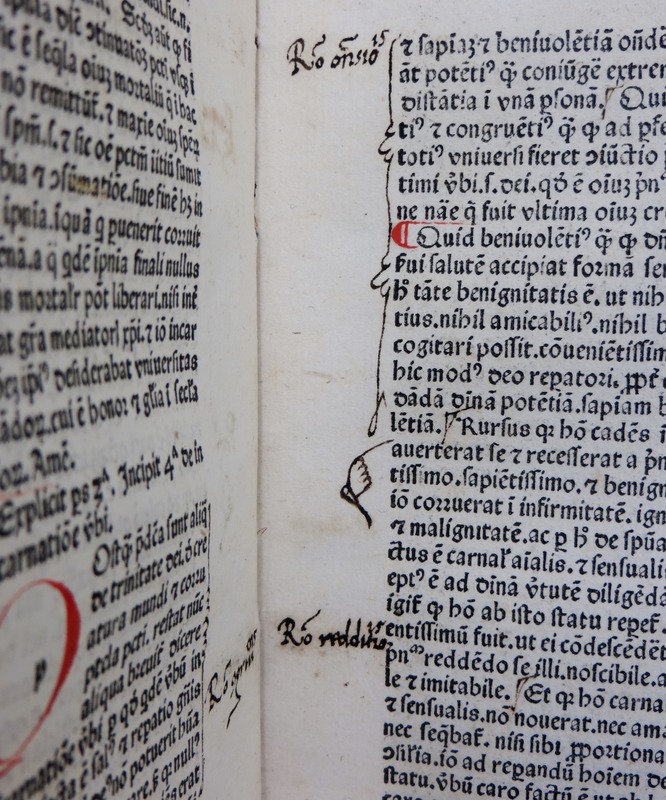 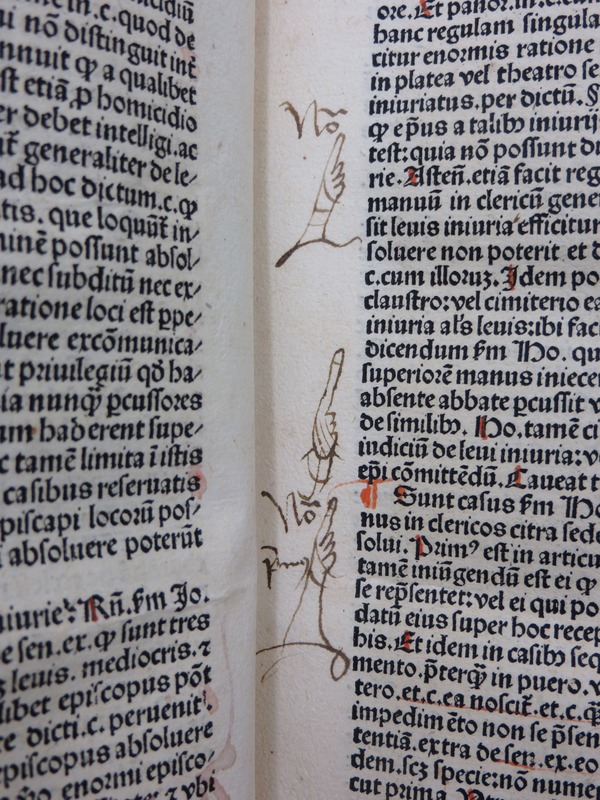 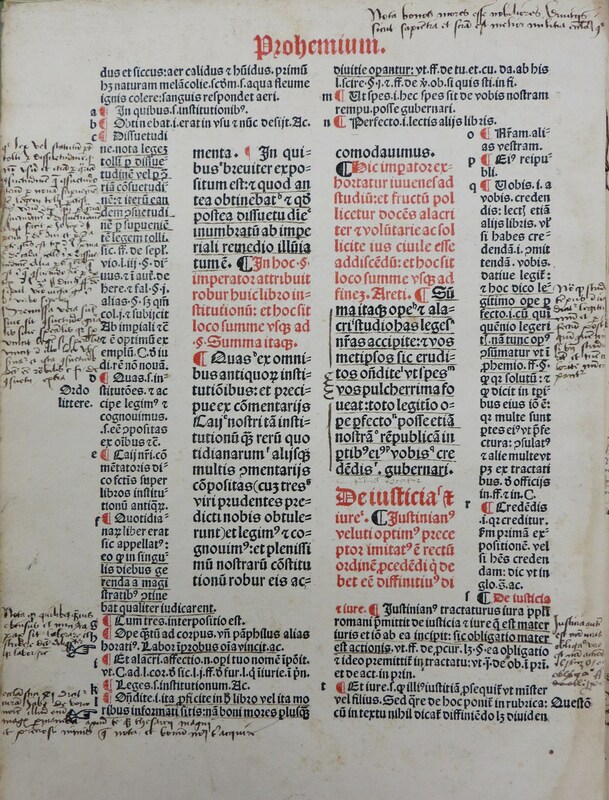 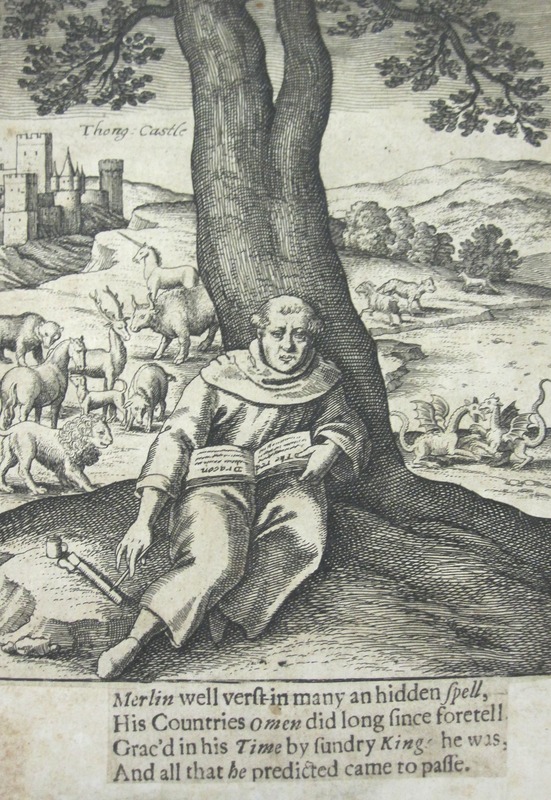 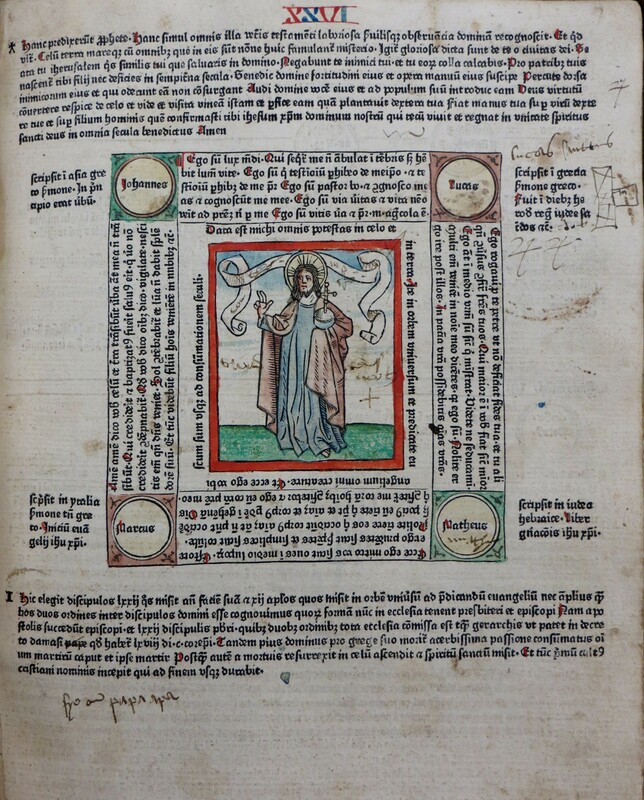 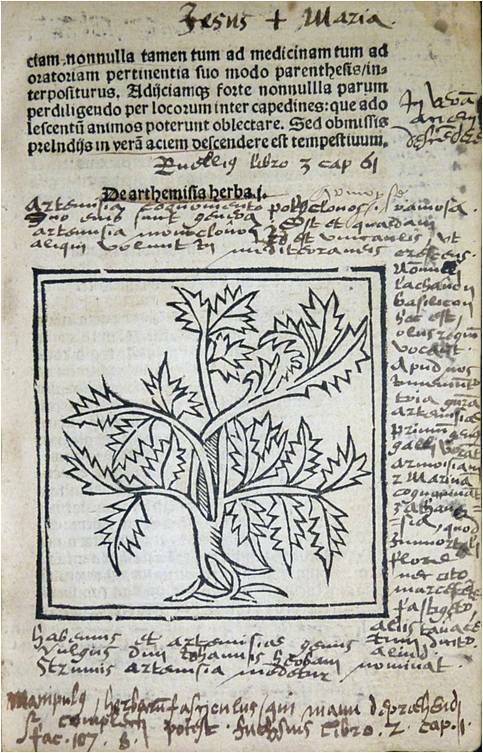 Many of the earliest books in the Cardiff Rare Books Collection, including the incunabula currently being catalogued, have margins full of wonderful examples of hand-drawn and printed manicules which vary widely in size, shape and quality, ranging from a simple sketched outline to a detailed pointing hand complete with ornate sleeve and ruffled cuffs. 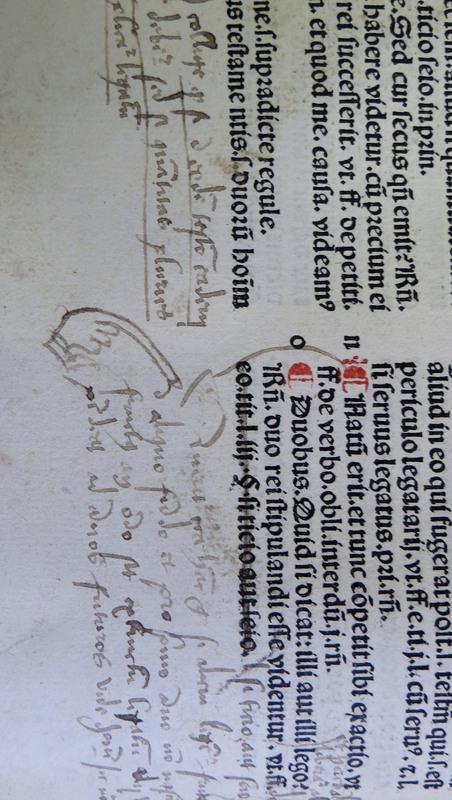 William Sherman, who has traced the history of the manicule all the way back to Spanish medieval manuscripts, describes the hands used in fourteenth- and fifteen-century Italy, for example, as “shockingly fanciful and delightfully stylized”. 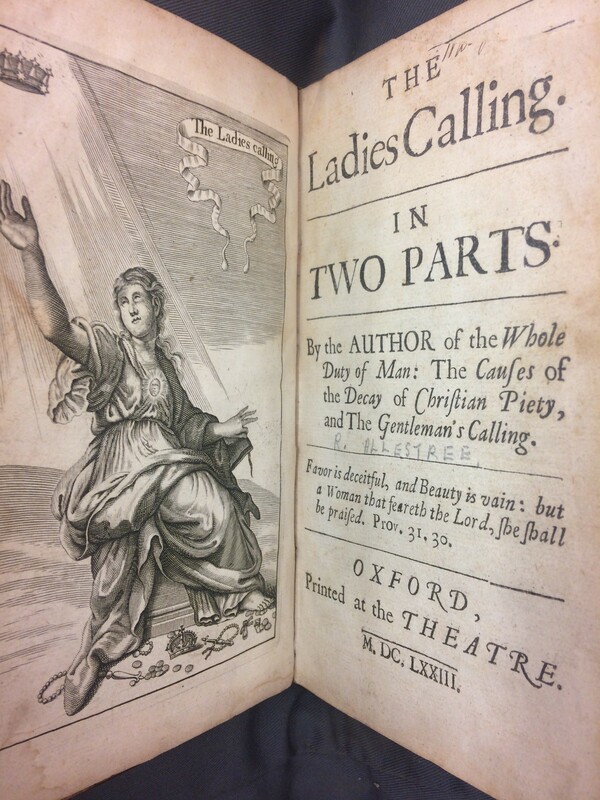 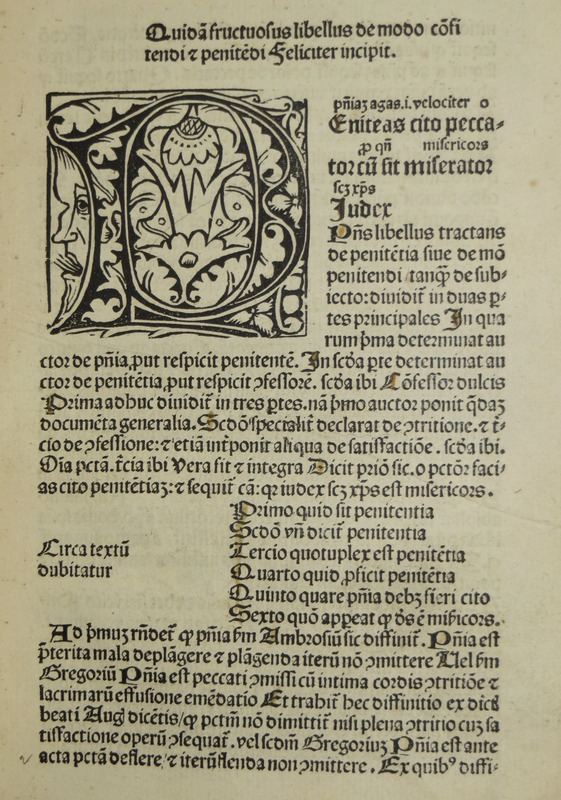 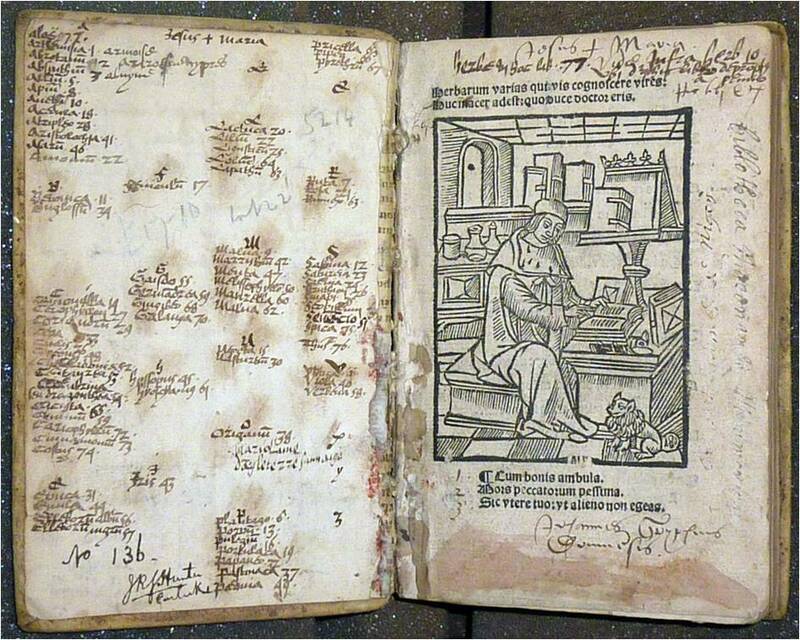 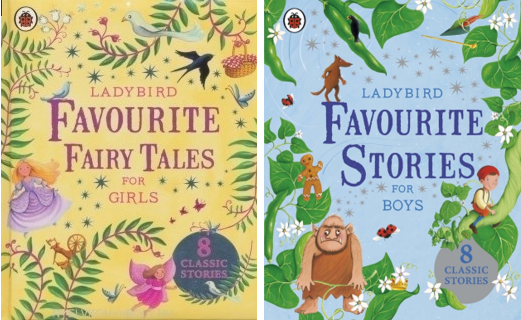 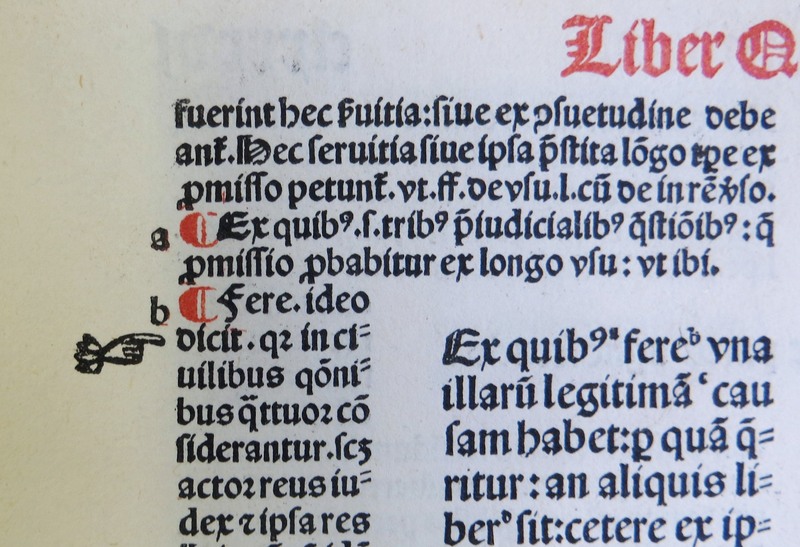 Early printers, concerned with replicating the medieval traditions and aesthetics of book production as closely as possible, were careful to incorporate the pointing hand into their new typefaces. 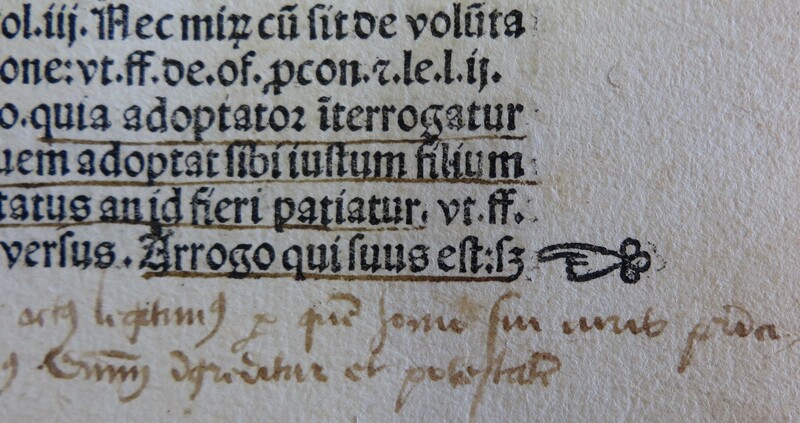 Although now rarely used by readers, the manicule survives as a visual symbol in signage and printed advertisements and has made it into the digital world as a cursor on your computer screen. 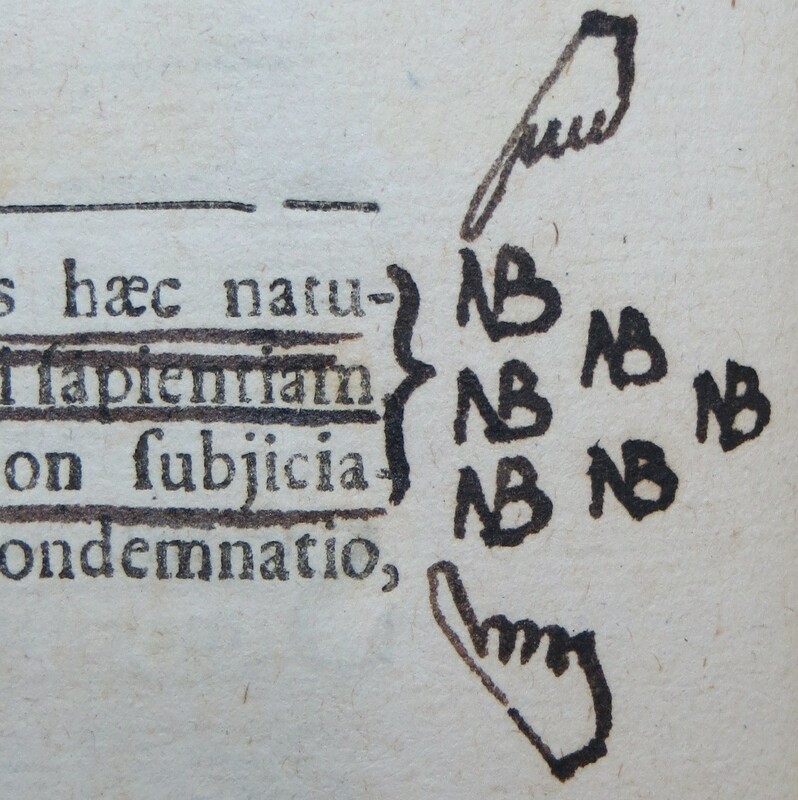 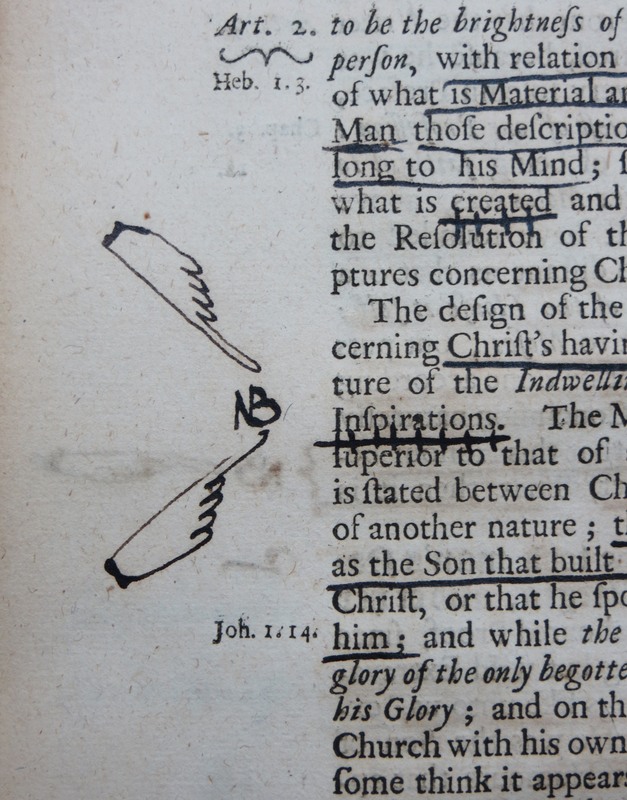 Even in this new digital environment, the little pointing hand is still performing the original purpose of the manicule, acting as an interface between the reader and the text. 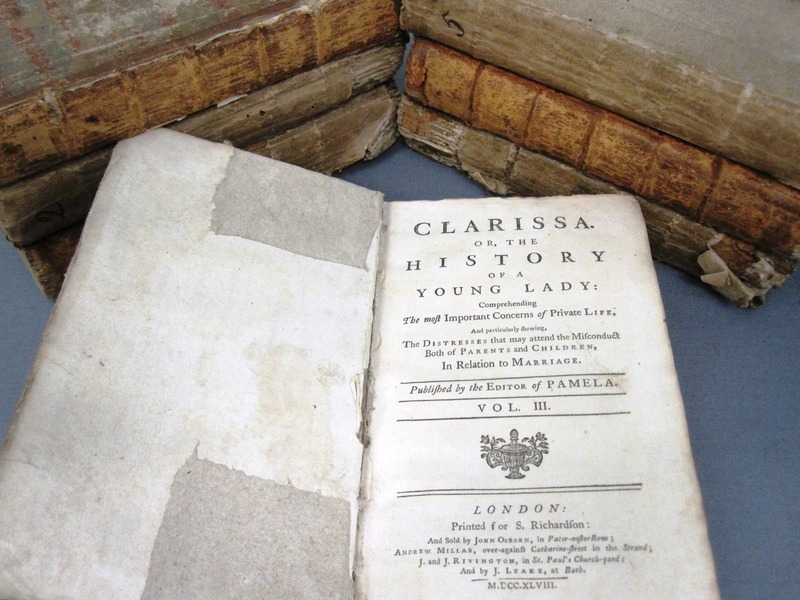 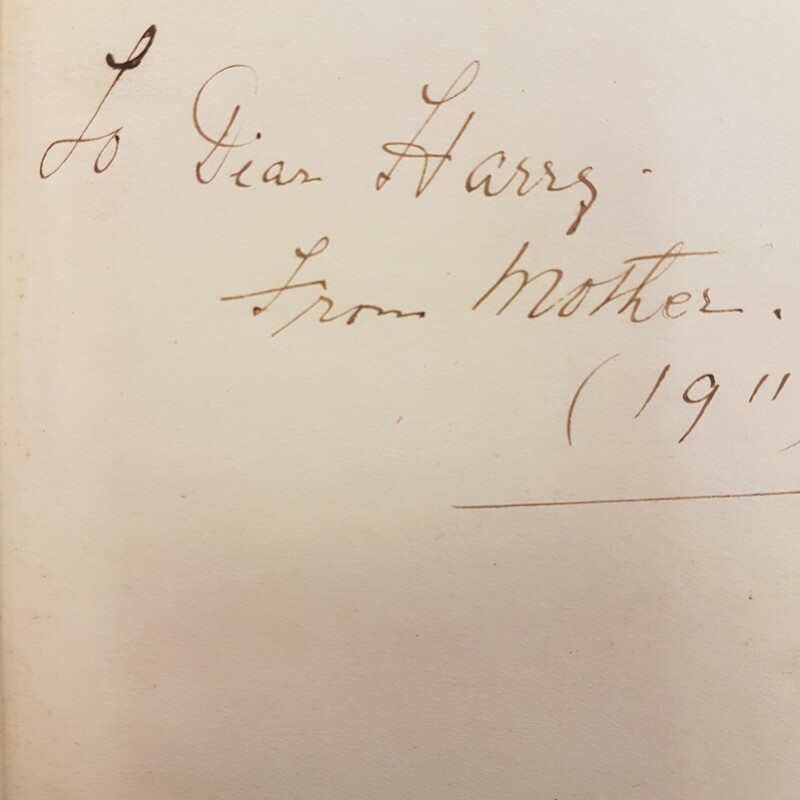 As a rule, libraries do not encourage people to write on books. 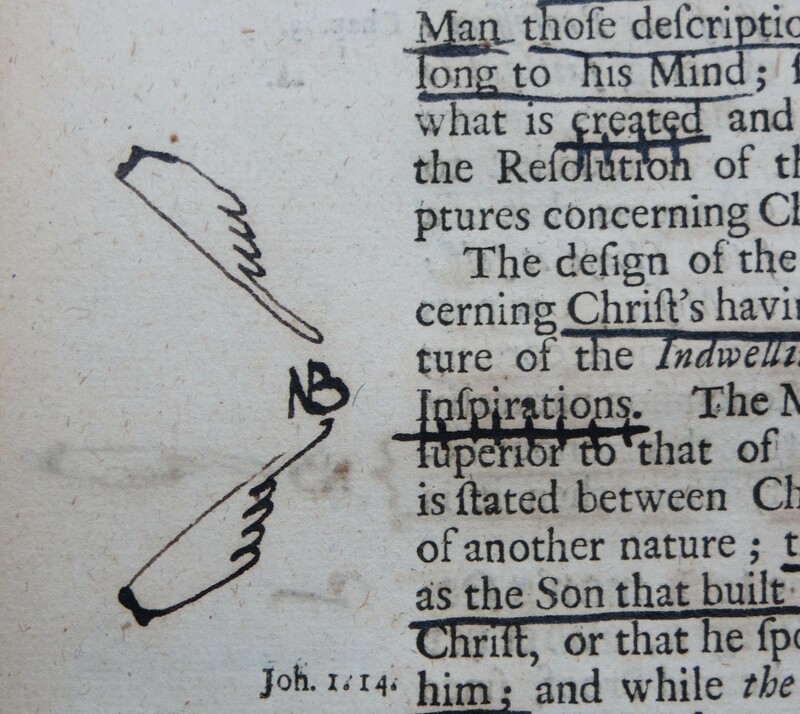 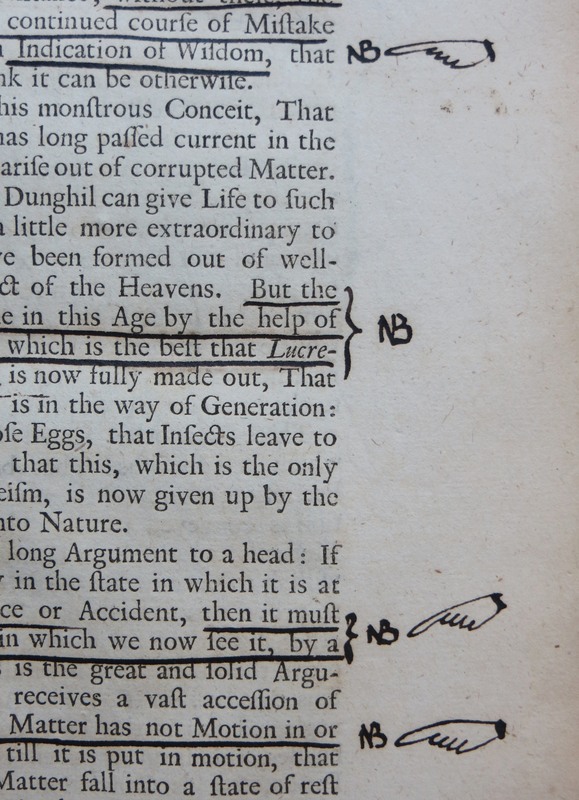 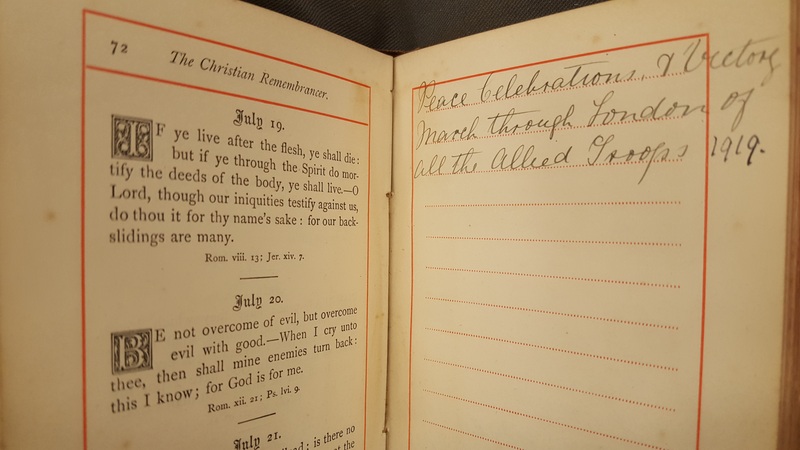 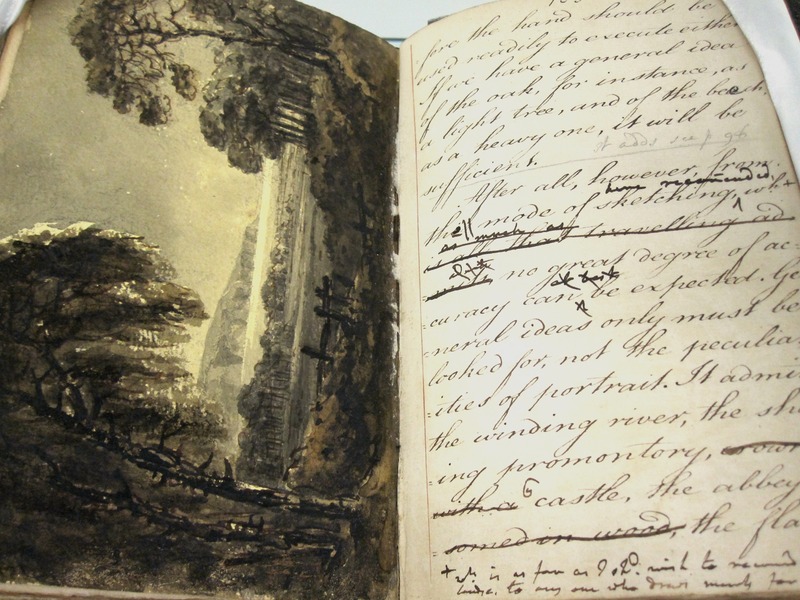 With the passage of time, however, marginalia and other personal annotations become more interesting and can sometimes shed light on past events. 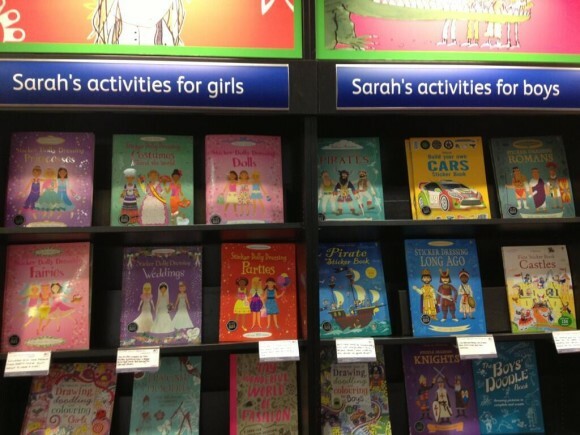 It is not too difficult to read between the lines here. 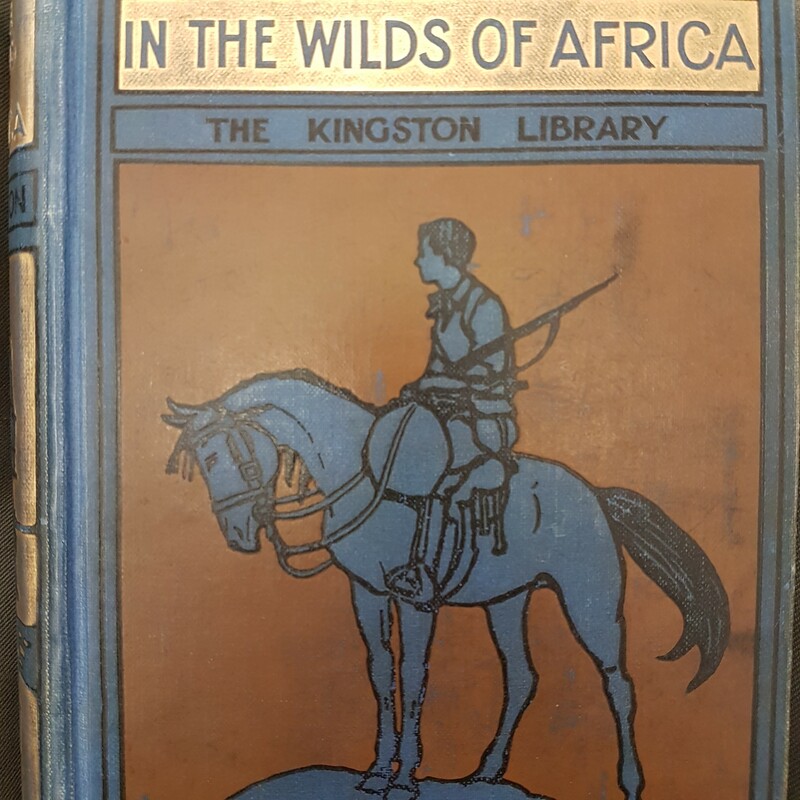 Sir John Ballinger, as he later became, had worked his way up from becoming a library assistant in the Cardiff Public Library at 15, librarian of Doncaster at 20 and returning to Cardiff in 1884 as chief librarian at the age of 24 (library careers were rather different then!) 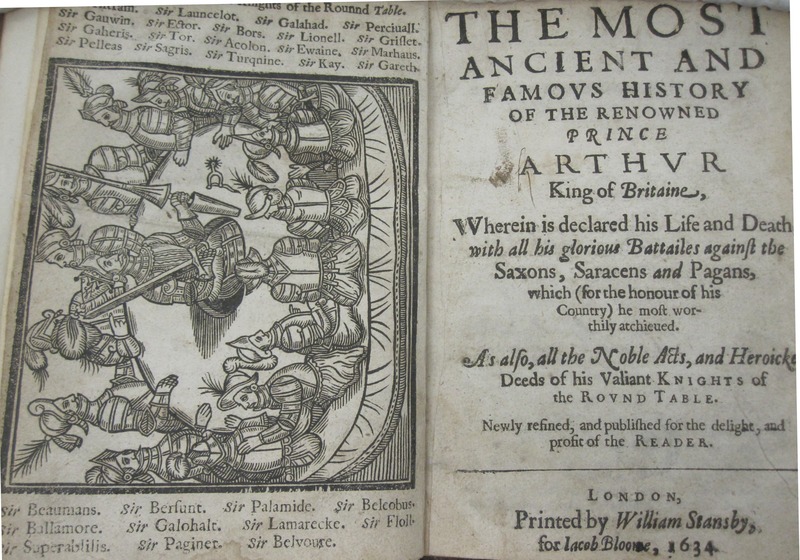 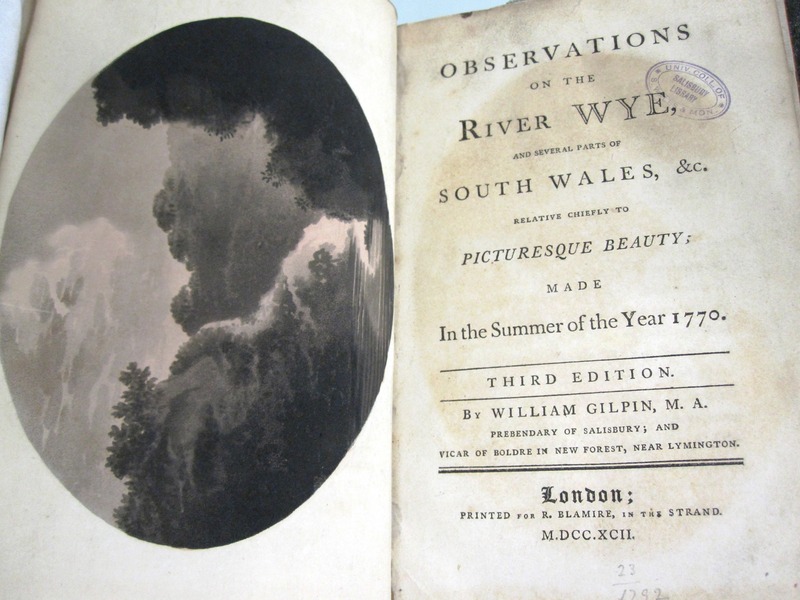 He was not a Welsh speaker, but he generally gets the credit for building up an impressive Welsh library in Cardiff (as well as the beginning of the rare books collection now at the University). 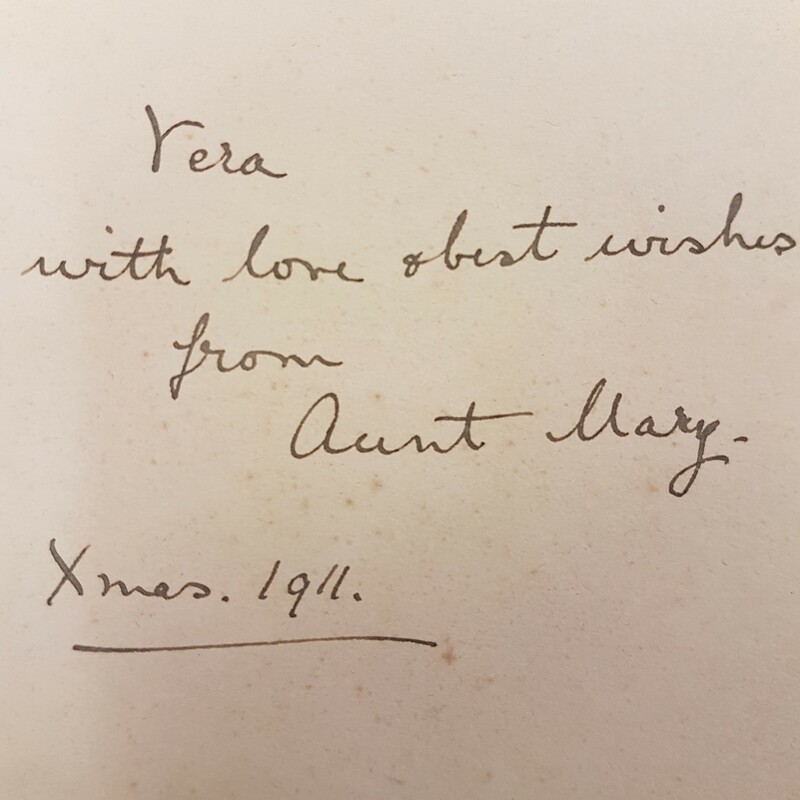 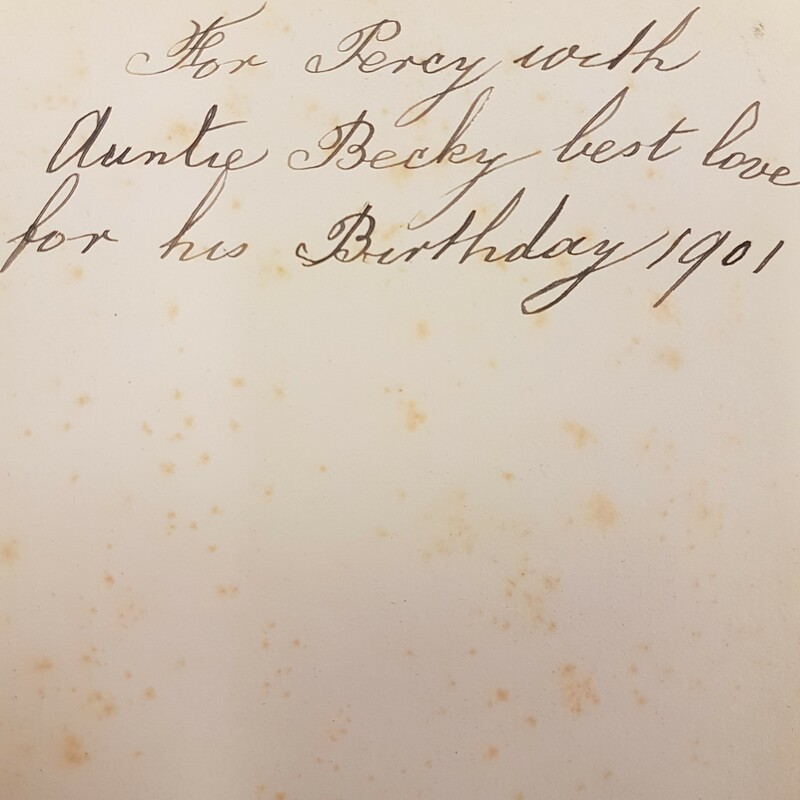 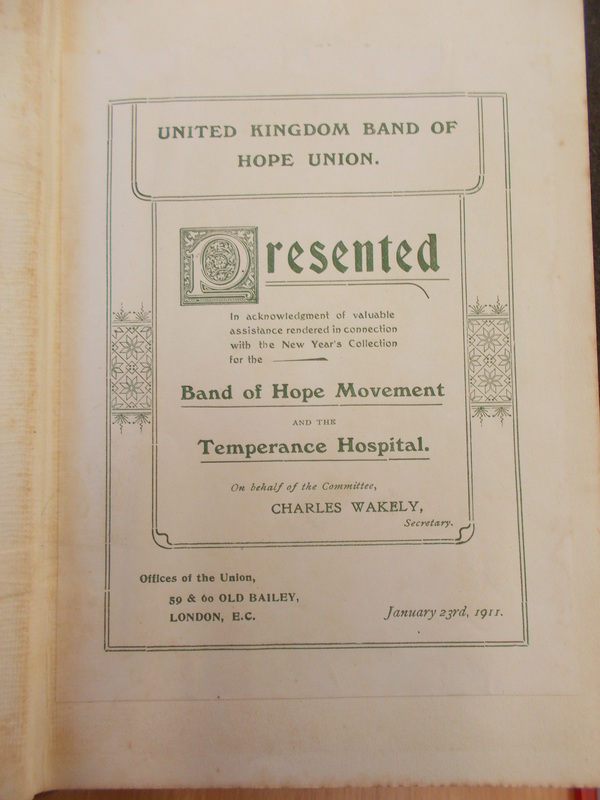 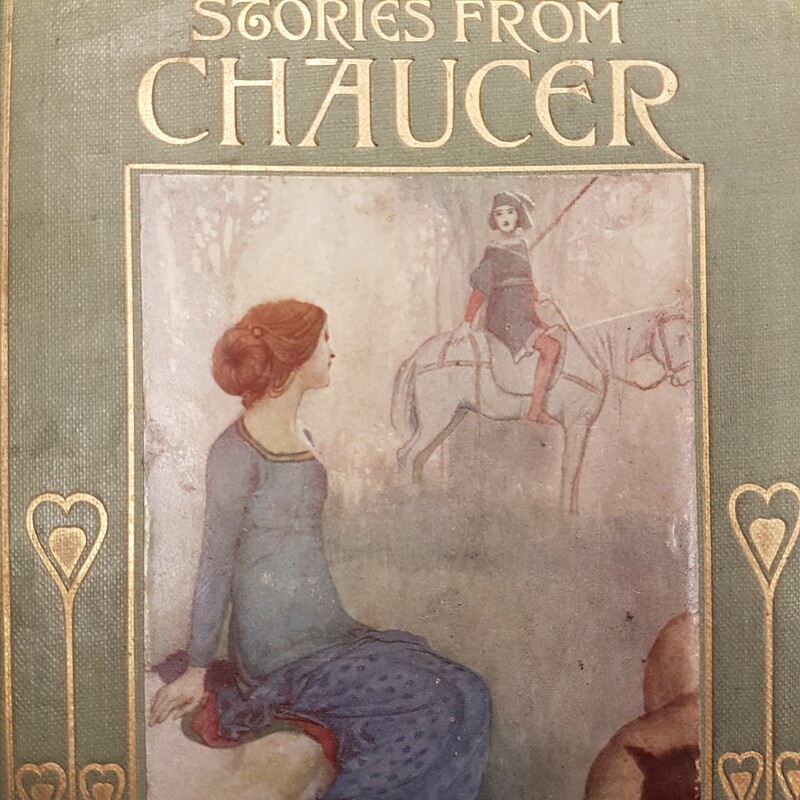 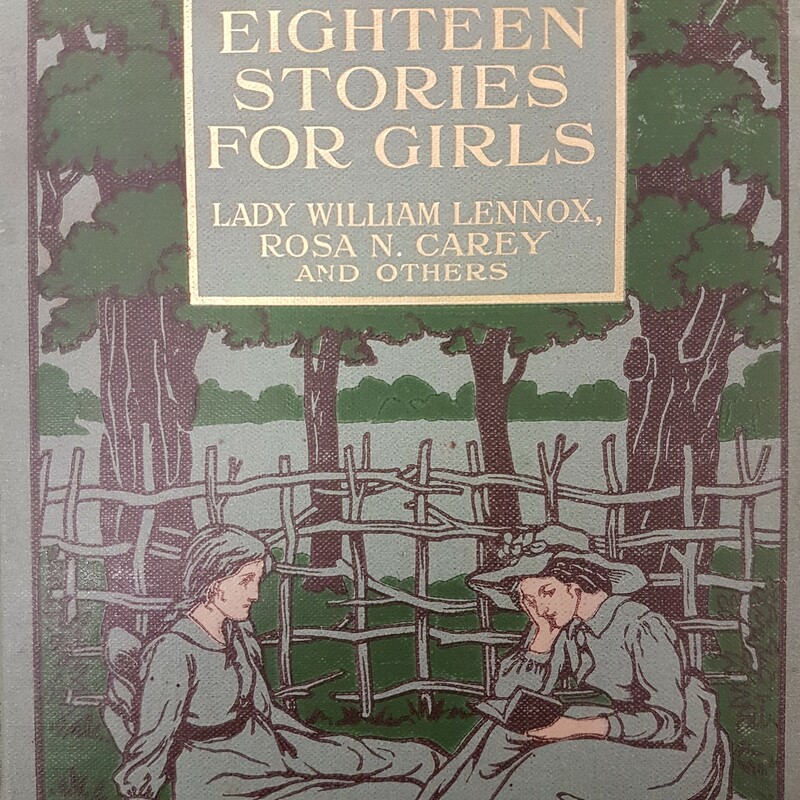 A famous catalogue of the Welsh collection was published in 1898, and subsequent works including this volume in 1906 all must have helped his cause once the decision had been made to found a National Library of Wales. 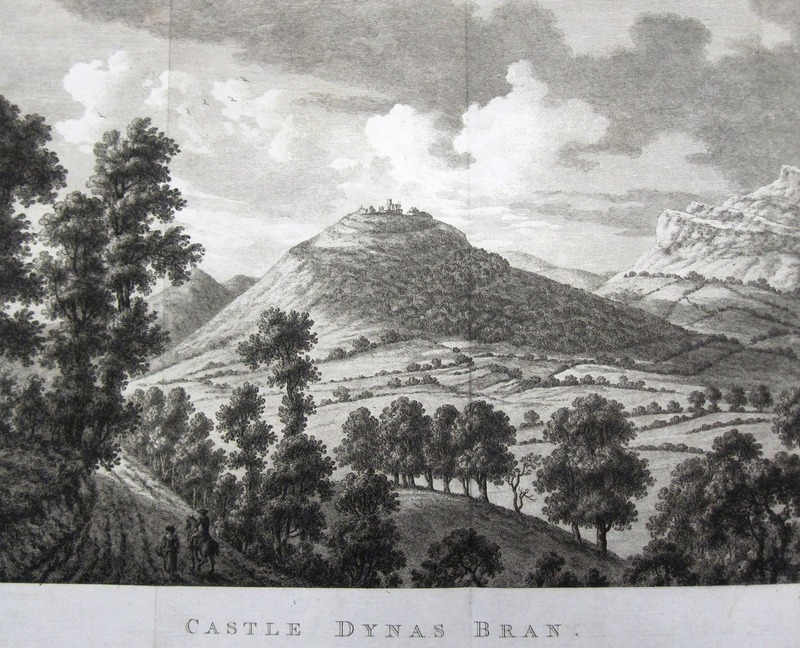 Cardiff, of course, originally expected that the National Library would be there, and John Ballinger would surely have been expected to be appointed. 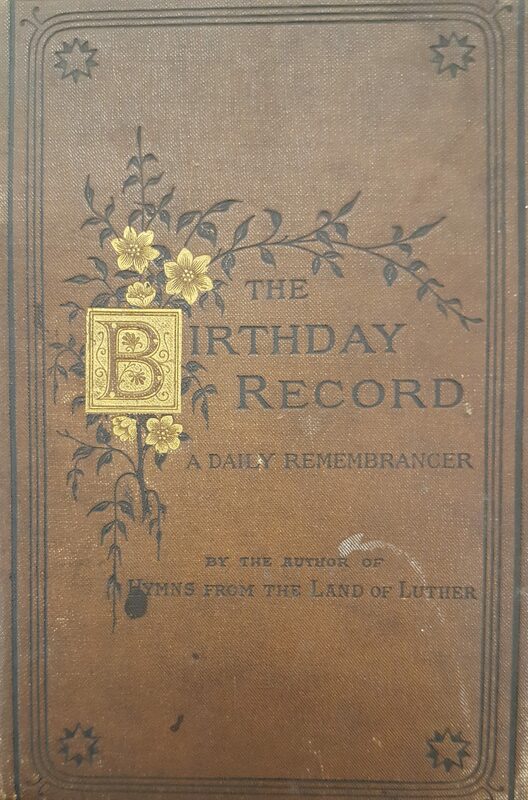 The decision to put the National Library in Aberystwyth instead did not change the situation: Ballinger was duly appointed, and took up his post in 1909. 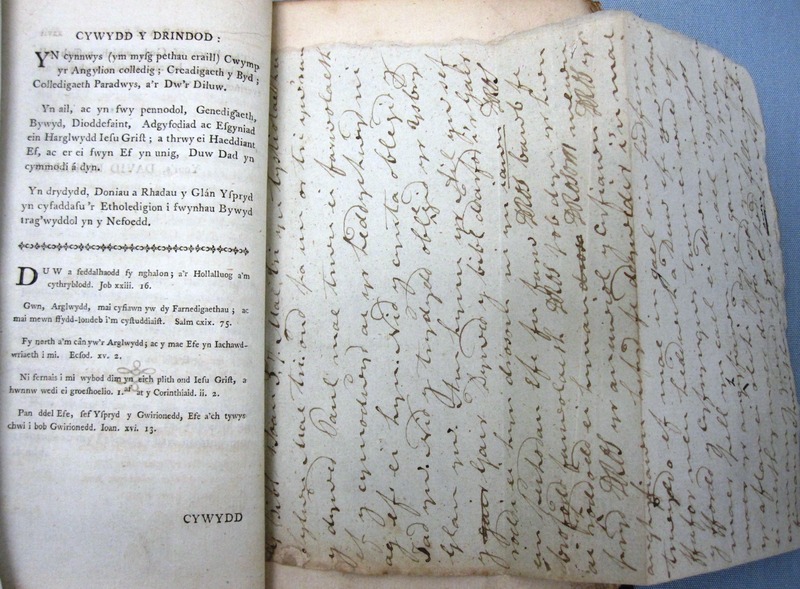 It has long been thought that Ifano Jones felt that he did not receive due recognition for his work. 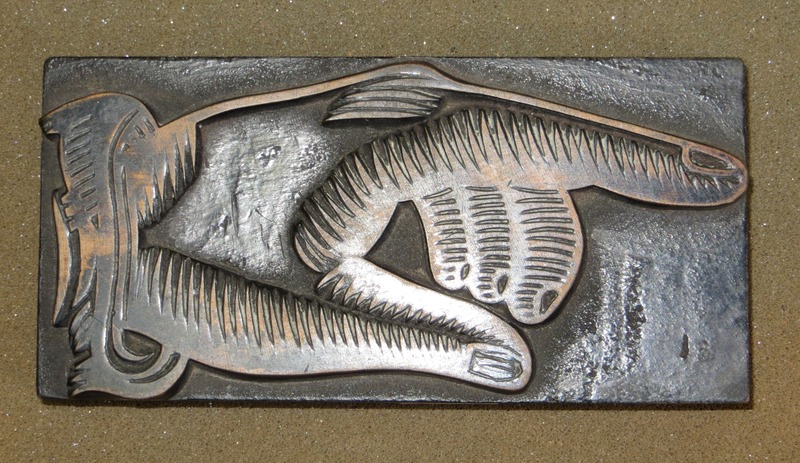 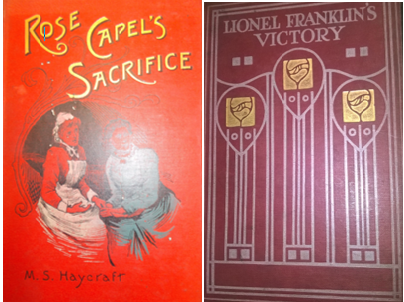 His own background was in printing, and he had a thorough knowledge of the history of the Welsh printing industry. 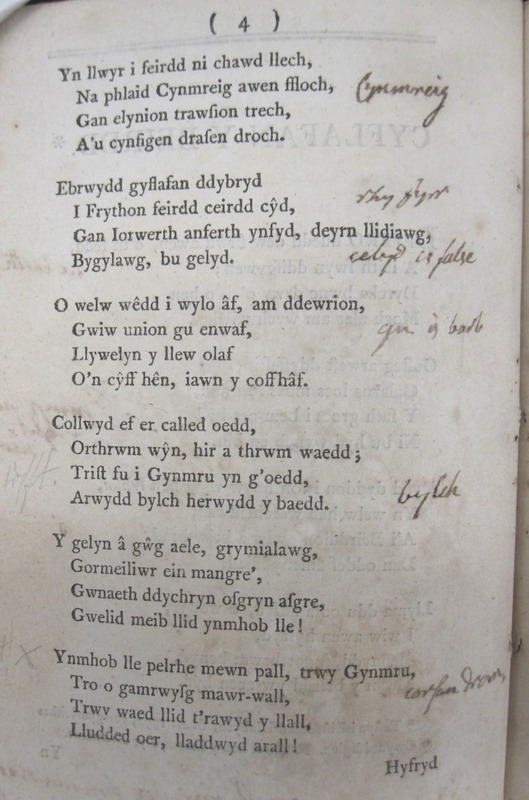 Unlike Ballinger, he was a Welsh speaker, deeply involved in Welsh cultural life. 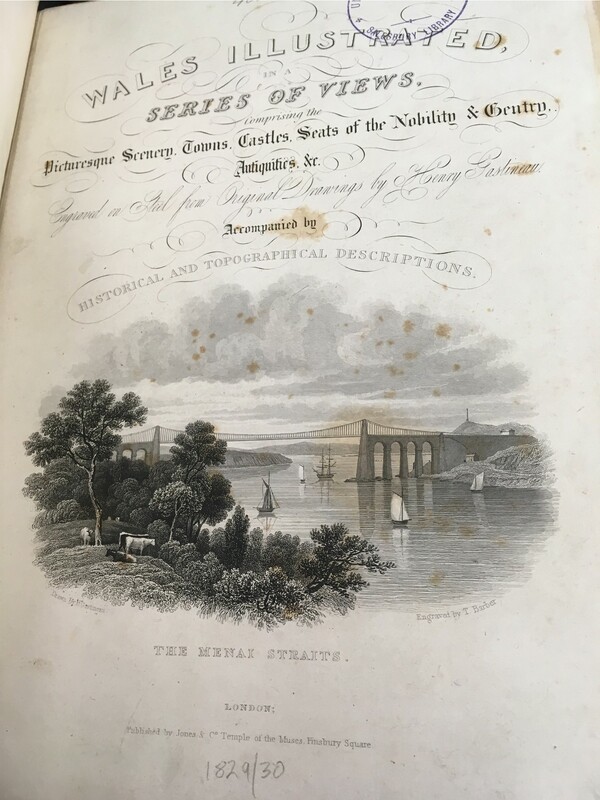 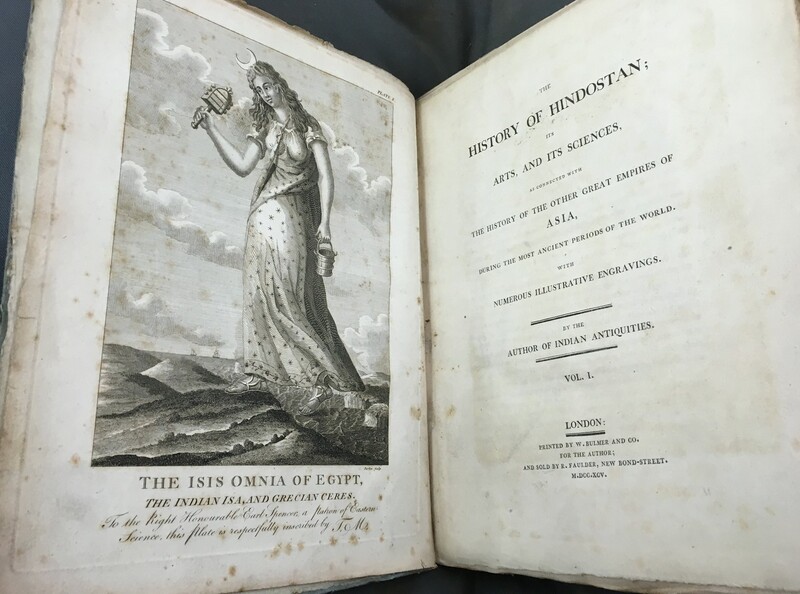 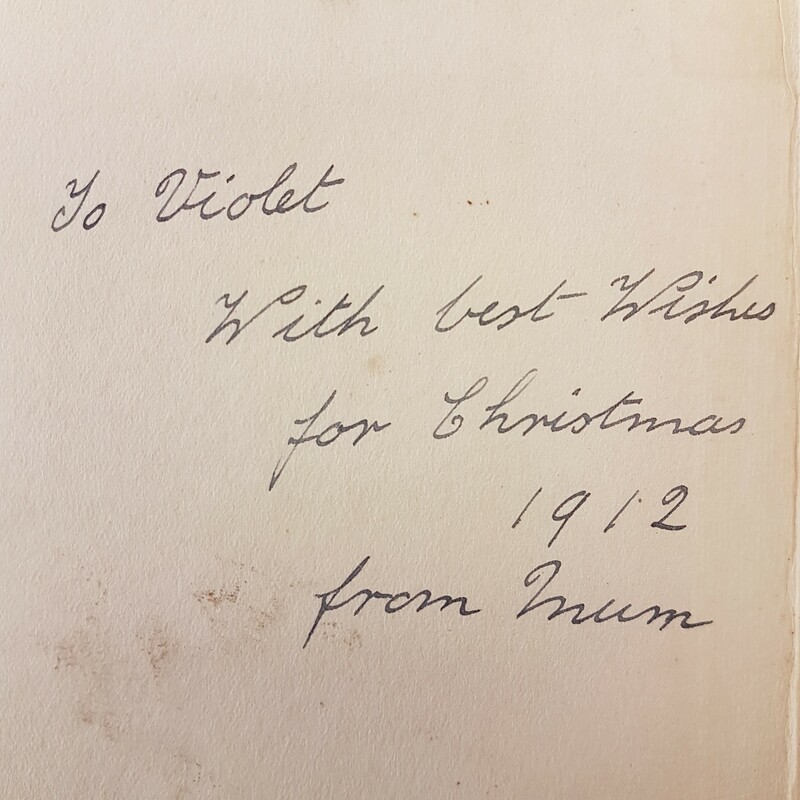 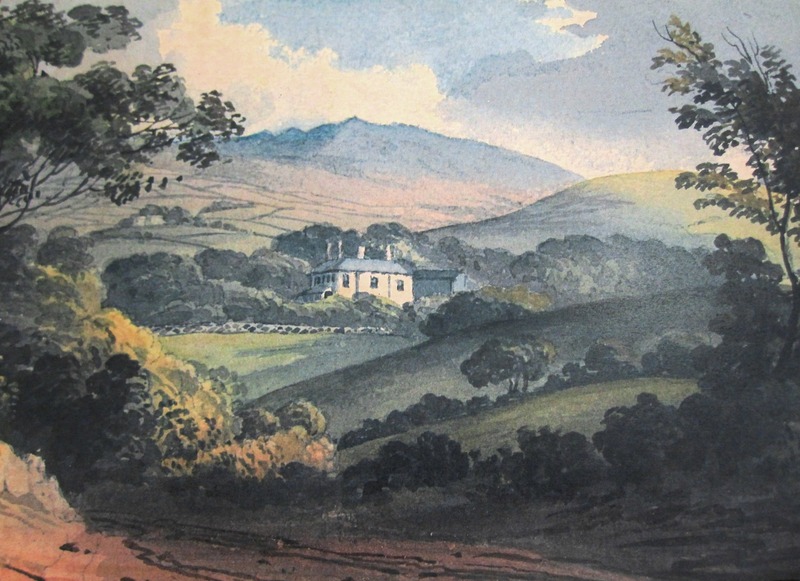 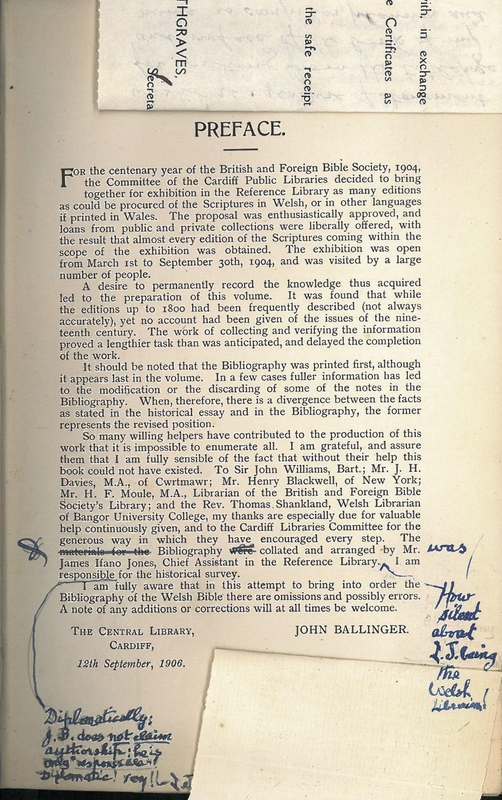 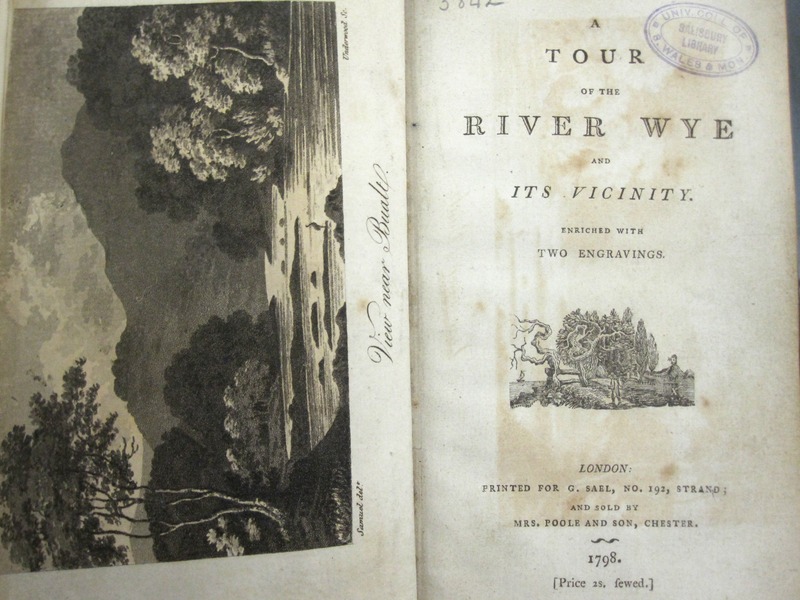 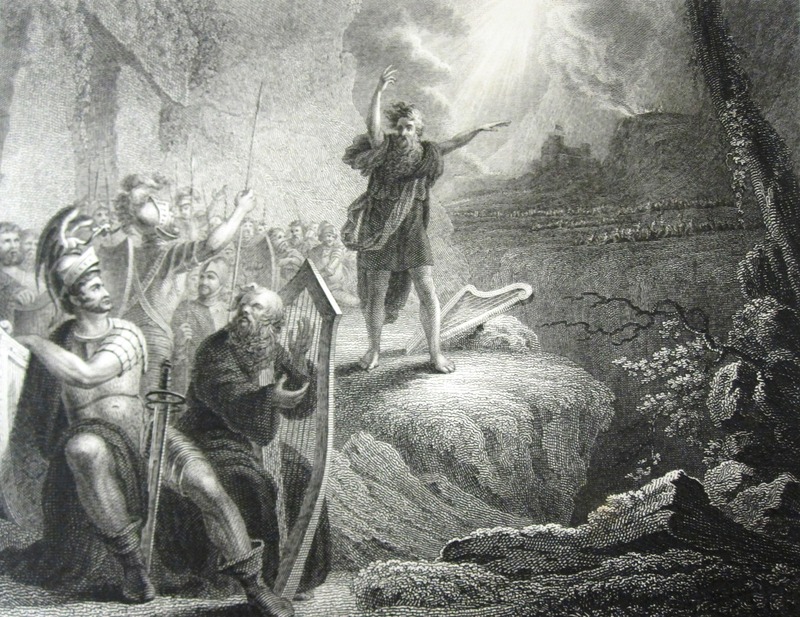 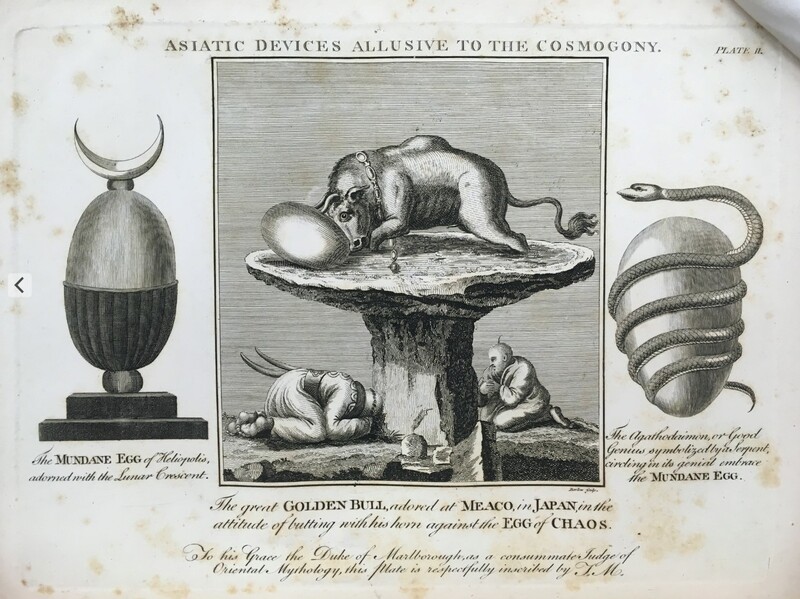 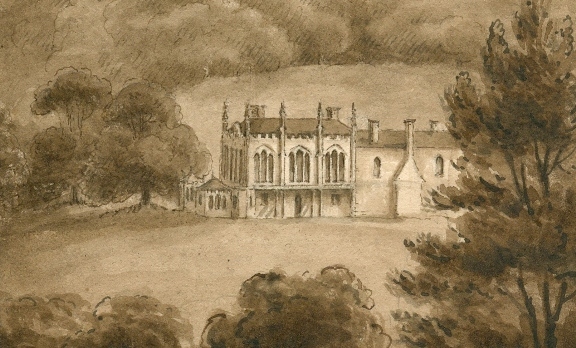 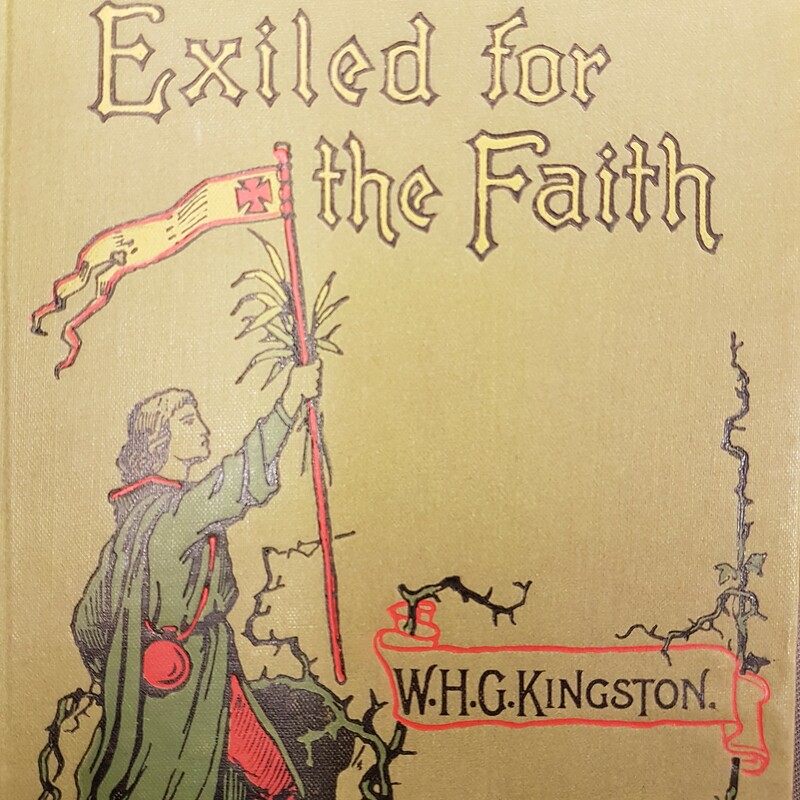 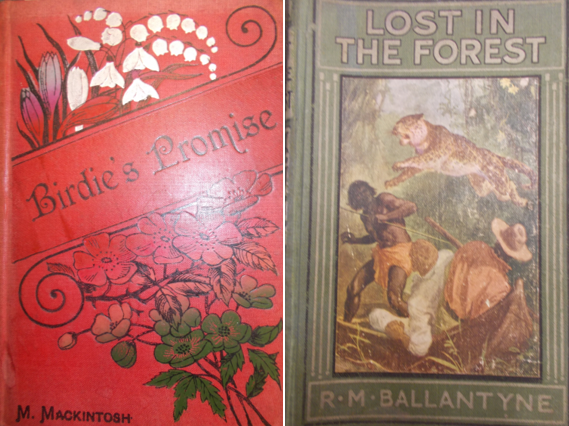 He was appointed as an assistant in the public library, with special responsibility for the Welsh collections: possibly he felt that Ballinger took the credit for much of what he had done. 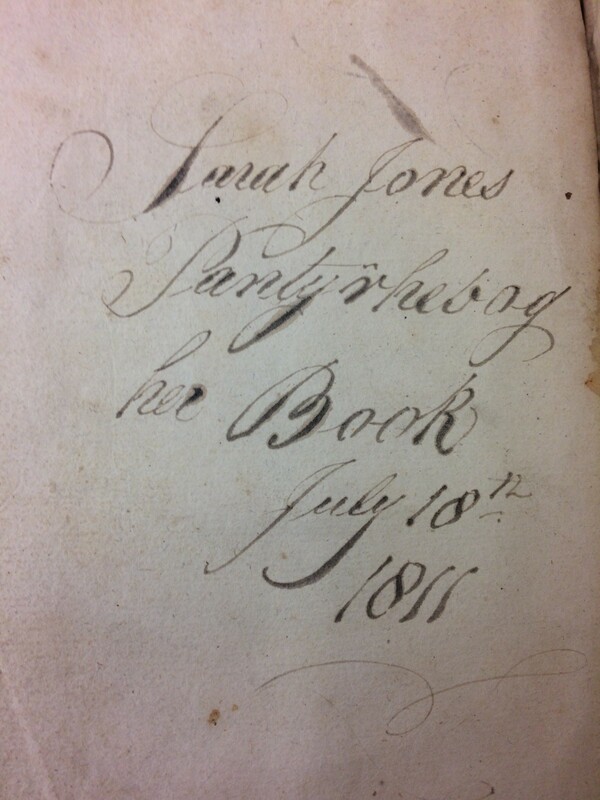 Ifano Jones was not appointed National Librarian, nor did he become chief librarian at Cardiff when Ballinger left for Aberystwyth, but he did succeed in being known as “The Welsh Librarian, Cardiff”, which is how he appears on the title-page of his “History of printing and printers in Wales …” (1925), still a standard work. 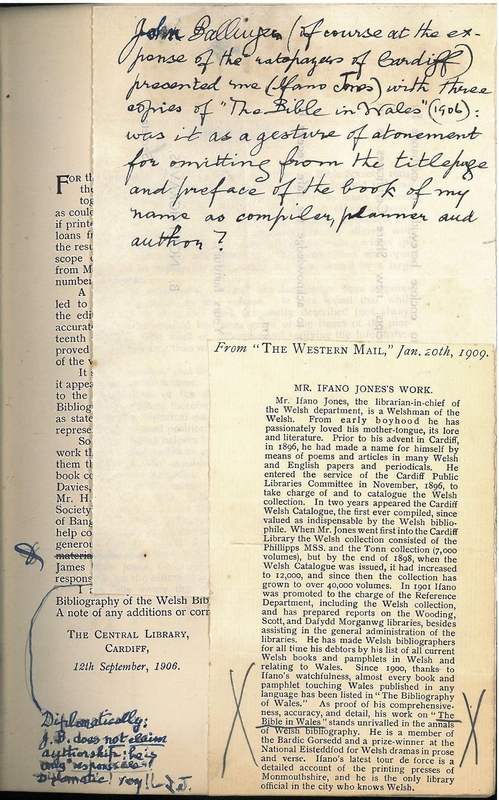 Interestingly, as well as exacting posthumous revenge on Ballinger by leaving us his thoughts in ink, Jones has attached a clipping about himself from The Western Mail, dated 20 January 1909. 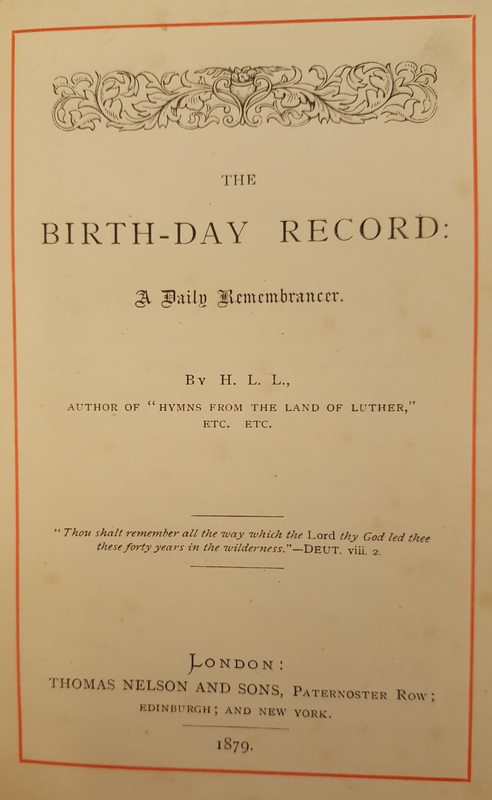 The newspaper story gives his work at Cardiff the prominence which he clearly felt was his due, and the date is significant, as this was the very month in which John Ballinger took up his appointment as National Librarian. 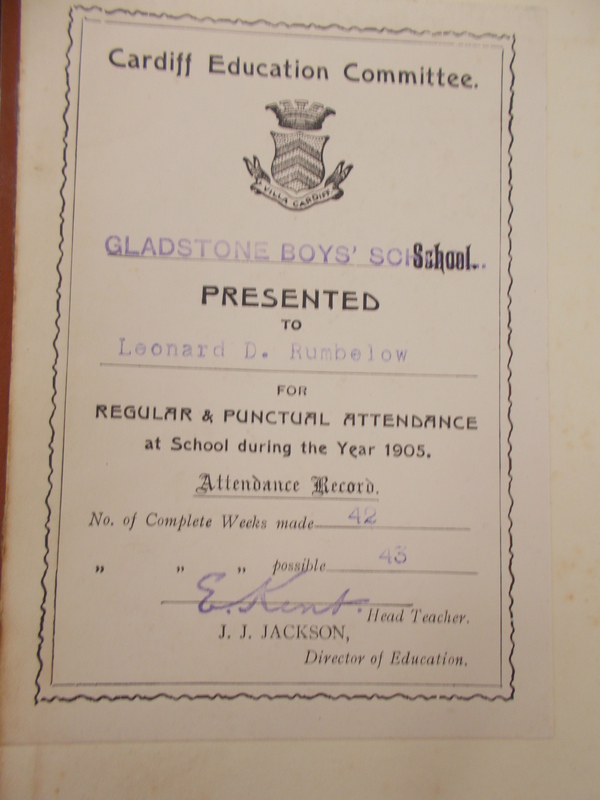 One cannot help wondering whether Ifano Jones himself was the source of the newspaper story. 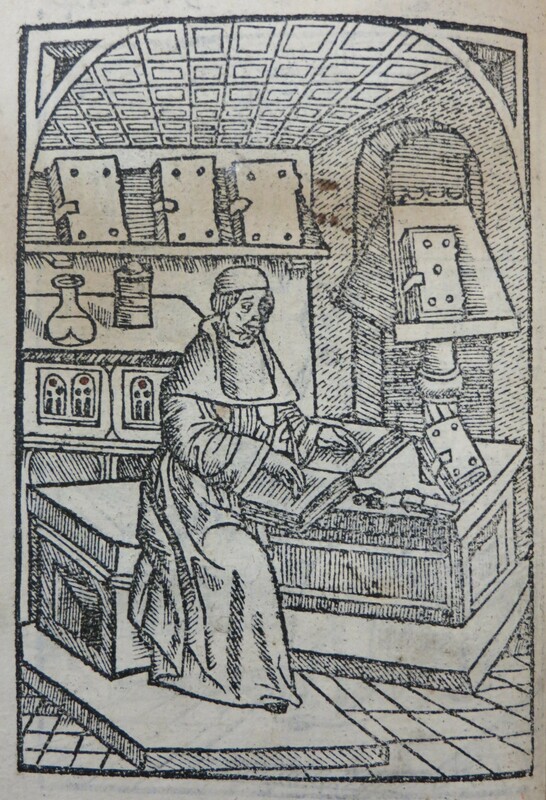 More information about CUROP can be found here: http://learning.cf.ac.uk/projects-funding/curop/.